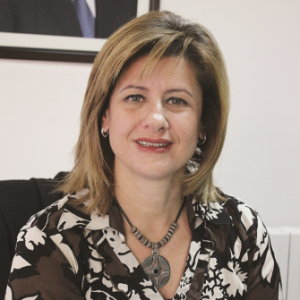 Suha Jouaneh, the Director of Jubilee Institute/King Hussein Foundation, which comprises The Jubilee School, and The Jubilee Center for Excellence in Education. Holds MA in Educational Leadership from Samford University Birmingham – Alabama; and a Bachelor degree in Biological Analysis from the University of Jordan. Ms. Jouaneh has been working at The Jubilee Institute/King Hussein Foundation since Feb 2009 till present. She supervises the whole educational process and programs in aim to advance national and regional educational standards through the development of innovative curricula and quality training programs for students, teachers, and administrators in public and private educational institutions. Prior to that that she worked for 6 months with UNICEF as the Adolescent Development Specialist, during which she worked on the development, implementation and enhancement of adolescent participation and empowerment in the community. Ms. Jouaneh was also involved in the education sector more than 25 years and worked as a science teacher, head of science and School principal in several reputable schools. Ms. Jouaneh acts as a chair person and board member in several educational organizations and committees.